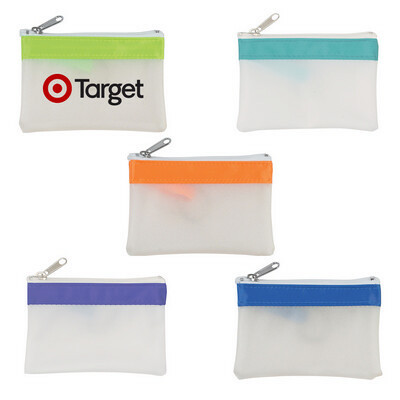 Features: This Coin Pouch with Zipper comes with a split ring attachment inside. It is a great promotional product due to its design and wide range of frosted colours including white with royal blue, lime green, and orange. Price includes : 1 COLOUR 1 POSITION PRINT. Setup is included.